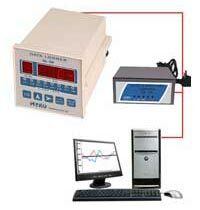 The 8 Channel Data Logger is highly popular among the users because of its user friendly design. It is highly used in the various industries owing to its high efficiency and accuracy. Along with RS-232/RS-485 Serial port with MODBUS RTU PROTOCOL, Direct Printout on 80 Column Dot Matrix Printer by 25 pin parallel port without need of computer (optional) can be given. Field programmable print interval 5 to 9999 seconds. 4 Soft touch Keys on front panel for parameter programming. Programmable LATCH and NON-LATCH facility for common relay and LED indication. © Copyright 2012. Myko Electronics Pvt. Ltd.